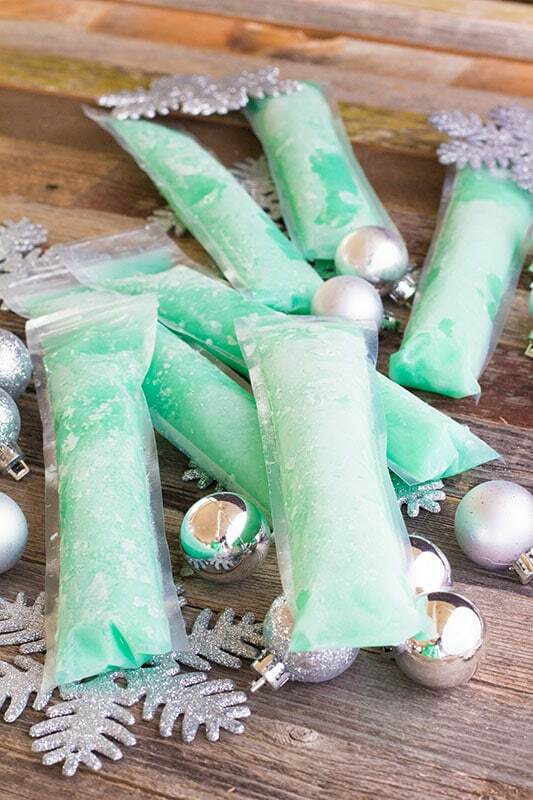 Slushsicles – Alcohol filled adult popsicles. Jack Frost and Cranberry Daiquiri Slushsicles are a fun grown-up addition parties. They would also be delicious served on a hot summer day. Change up the juice in either recipe to change up the flavor. Slushsicles do not freeze as solid as kid’s popsicles, thus the name, rather than adult ice pops. The reason for this is because of the freezing point of alcohol. The more juice you add, the more solid they become, as it reduces the amount of alcohol in the slushsicle. Newair explains this well in an article about frozen beers. You can freeze just about any mixed drink you like, provided it has a low enough alcohol content. 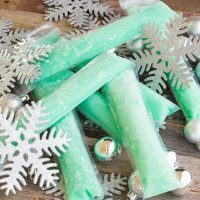 Alcohol is right at its upper limit in these slushsicles, which is why they are somewhere between slushies and popsicles. To read more about why alcohol doesn’t freeze well in home freezers you can read all about it here, and here. One isn’t likely to find any upper limits of alcohol to mixer ratios in my freezer. Using the amounts listed in my recipes will give you a semi-solid end product. Hence, the name slushsicle. It will be more solid than a slushie, but not quite as solid as a popsicle. 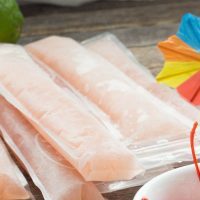 If you want your adult ice pops to be more like an otter pop, you need to up the juices, lower the alcohol, or turn your freezer temperature way down. 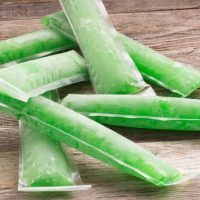 Slushsicles should be placed in an upright position and left until frozen solid. I recommend storing these in a freezer rather than a cooler. If I had to store these in a cooler I would be using dry ice and placing a light layer of fabric or paper towels to prevent them from sticking to the dry ice. 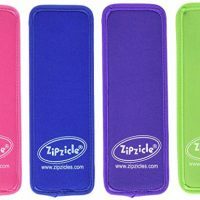 The brand of Popsicle sleeves we use is Zipzicle and can be purchased in a 36 pack or in a pack of 100. Since this is a specialty item I can’t pick up at the store easily, I buy the 100 pack so I always have them on hand. This can be used to freeze yogurt, fruit juice, just about anything. 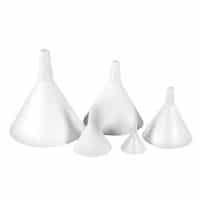 Whatever plastic sleeves you choose to use, you need to make sure that there will be no leeching of toxic chemicals when exposed to alcohol. Please treat these treats with the same respect as any other alcoholic beverage. Do not drink and drive and consume always consume responsibly. Slushsicles can sneak up on you, every slushsicle has the same amount of alcohol as one mixed drink. Frozen Cherry Limeade for the adult crowd. Melon and pineapple flavored with a hint of orange adult frozen treat with the consistency of between a slushie and a popsicle. Perfect for your next summer party. 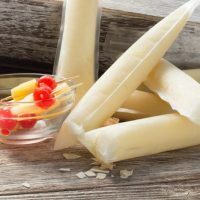 Tropical pineapple and coconut frozen adult treat. Ideal for sharing at your next get-together. 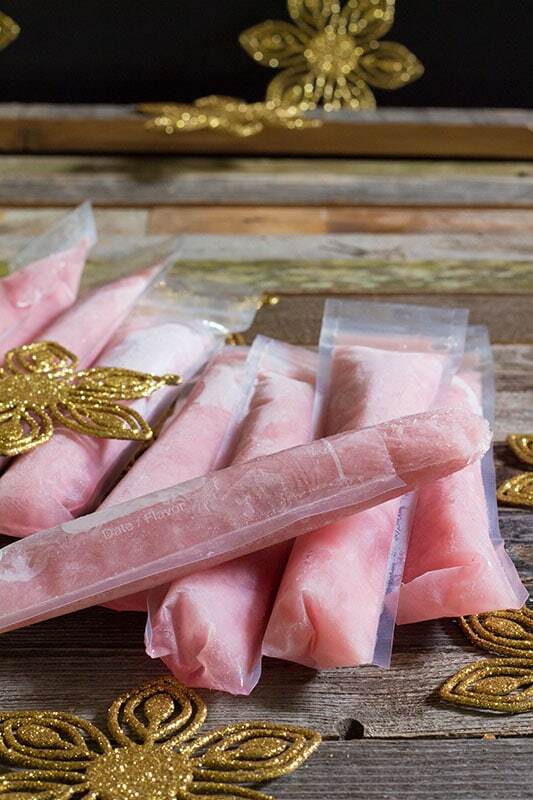 Frozen Spiked Pink Lemonade Margarita is another frozen cocktail popsicle in our arsenal for summer entertaining. This one is literally frozen. No blender or cups required. Make them at least one day in advance. 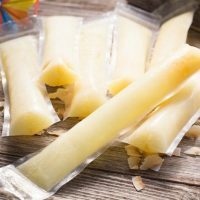 Boozy Beach Side Ice Pop is a refreshing pineapple, lemonade and coconut adult frozen cocktail. Perfect for poolside, beach side or just dreaming of being beside either one! 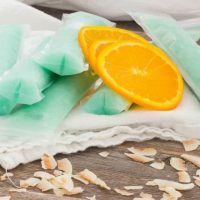 Blue Hawaiian Spiked Freezer Pop - Coconut, pineapple, and orange flavors in a rum base and frozen for an icy summer treat. Recipe for adult freezer pops with alcohol. We now have an entire tutorial on the process in our How To Make Spiked Slushsicles post. The number of pops produced is determined by the level filled. 8 is a good number to shoot for. Nutrition provided is for Jack Frost, Cranberry Coconut has 141 Calories. 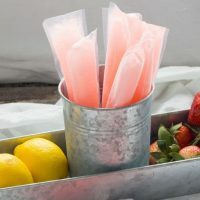 Sign up to receive emails any time we post a new recipe to make sure you are notified whenever we add more slushsicle recipes. I made these a few days before my party. They were a big hit! You could try using some extra lime juice or margarita mix. The key is to having a lower alcohol content. These look like thin zip top baggies. I’ve never looked for them or tried, but how do the sleeves close at the top? Beth, these look delicious! Could you suggest ingredients to make margaritas in these bags! Thanks! I would probably mix it with water first. The stuff I use looks a lot like sweetened condensed milk. If you find it isn’t sweet enough, you could try adding some sugar or some sweetened condensed milk. Enjoy! Hi there! I am also from Canada. Succeeded in findign “Pure creamed coconut” in the carribean foods section of my grocery store. The packaging I boughgt says to mix the creamed coconut with hot water “to form a thick sauce”. The package otherwise resembles really thick icing. Should I use the creamed coconut as-is, or should I mix it with water in your opinion? Not sure what the stuff you use looks like. Thanks! I’m so sorry to hear you are having difficulty with this recipe. Is there any chance they just aren’t freezing quickly enough? Try starting with cold ingredients. I never freeze more than one recipe at a time, standing straight up in a bowl or cup. I also put mine at the back of the freeze. 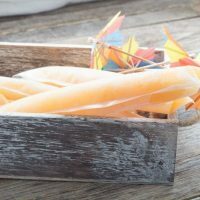 Check them periodically and if you see they are separating, try shaking them up before there is one area that is frozen solid, place them back into the bowl standing upright. You can also try adding more cream of coconut or pineapple juice, the less alcohol in the mixture, the harder they should freeze. I’ve attempted the Jack Frost recipe twice now and it’s separated both times. Any suggestions? Not only would it work, but I bet Malibu would be delicious in these! 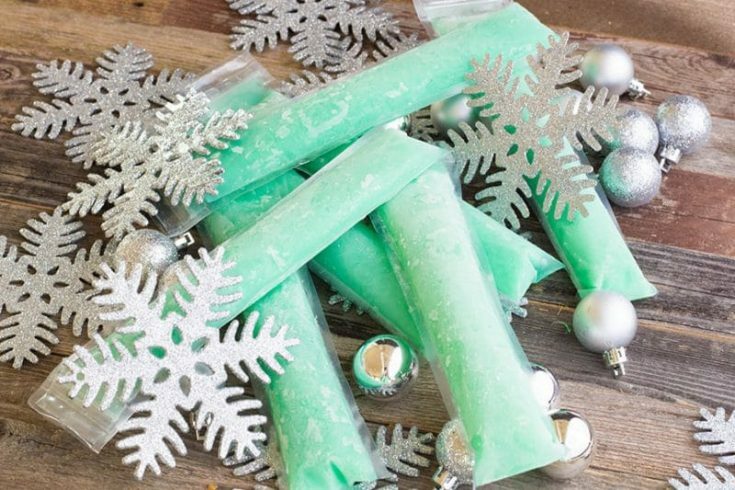 Would Malibu do well in these popsicles? I am not a cognac drinker so I don’t have any specific recipes for it, but you can generally mix about 1 part alcohol to 5 parts juice or any other non-alcoholic beverage and produce a frozen adult Popsicle or slushsicle. You could even try mixing your Hennessy with Alize and cranberry juice. Hi! I’ve seen pictures but have been unable to find a recipe adapted for Hennessy. Do you have any idea how I may go about that? You can expect to get 8 to 10 3-ounce frozen pops. Cream of Coconut is the sweetened condensed version of coconut milk. In the US, it is located with drink mixers. If you are having difficulties locating it, you could use sweetened condensed milk and some coconut extract. You could also use a pina colada mix. You could try using sweetened condensed milk. Let us know how it works out if you decide to try it! Is there a substitute for cream of coconut? That’s not a flavor I can get on board with. Hi Judy..I’m from Canada what is” cream of coconut “? I’m not sure which bourbon recipe you are referring to, if it is the boulevardier recipe on our site I don’t believe there is enough sugar in the recipe to freeze well. If you are looking at another recipe that has juice or some form of sugar, like cream of coconut it should be fine. I would give it trial run before heading to the lake though. Do you think the burbon ice would do good in these. Thought it would make it easier to share at the lake. Bed Bath and Beyond, near the utensil section! 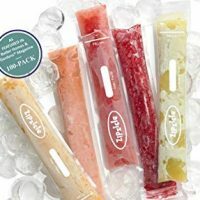 Where do you find the little plastic sleeves in which the Popsicle mix goes?